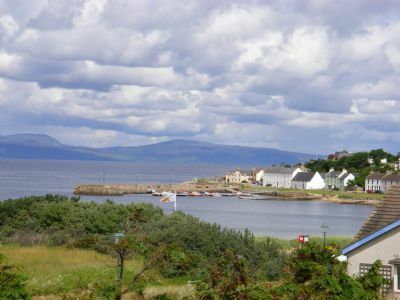 Portmahomack is well known in Easter Ross because of the picturesque nature of the village. Uniquely for an east coast village it faces to the west producing spectacular sunset views in the evening.It also benefits from it's own micro climate being one of the driest areas in Scotland. It is an excellent base for all sorts of sports and sightseeing activities including: Golfing at the Tarbat Golf Club; Dolphin spotting and fishing trips, beautiful walking routes and a spotless beach looking onto the Dornoch Firth, ideal for various water sports. Portmahomack also has a historical links to the early Picts. You can visit an archaeology dig site at the Tarbat Discovery Centre which is situated within the village. The village also has a General Post Office/store, open 7 days a week, a first class restaurant, pub and soon to be opened bistro and both Self-catering and B&B accommodation. In close Proximity to Portmahomack are the historical Towns of Tain (10 miles) and Dornoch (21 miles), with Inverness only 40 miles away. This site is an attempt to let everyone know what's happening in this small community so if you have a news item, an event or local business you wish to promote get in touch! Also if some one wants to help with maintaining this site and is resident in the area then please let this one man band know!!! !